Discover how your spiritual gifts and passions come together to form the unique way God has wired you to serve. God has gifted all believers with amazing gifts to serve others. Have you ever wondered about YOUR gifts? 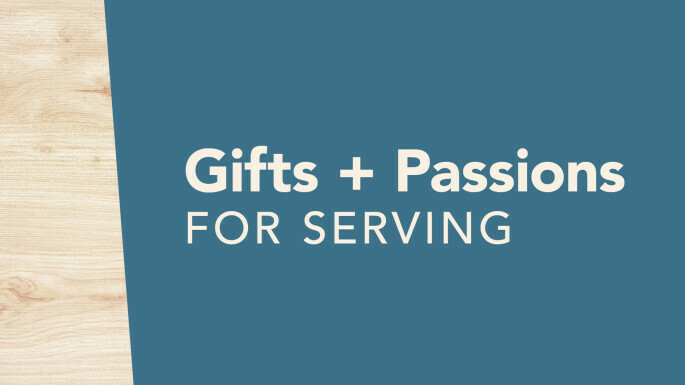 The GPS class (Gifts and Passions for Serving) is a great way to learn about your top 5 spiritual gifts and how you can put them into action to serve others! Please join us! Before the class, watch the GPS Intro video by Teaching Pastor Jason Strand and take the Spiritual Gifts Assessment. Please note that childcare will not be provided.